Well I decided to give the 60 day trial a go as they is nothing to lose at all! And so I signed up and it didn’t take long before I got started. And it is easy to setup, believe me! And before you know it, I managed to get all the information updated on all devices without even synchronising my data directly on the computer! So I could be anywhere rest assured that will never forget to update my own Macs. In short, MobileMe is pretty good. I haven’t used iDisk and the Photo Gallery features yet, but looking at what is on offer, it does indeed serve the rest of us (not only those in business you know!). But there’s still more to try and I will decide after the 60 day trial what I will do, but I will let you know properly what I actually thought! 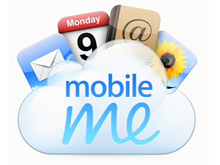 What do you think of MobileMe? Let me know! If you have come to the last paragraph of this blog (whether you have read the entire blog or not), I’m glad you have made it! I just want to say hello to you all and hope you are enjoying reading! MobileMe – Good move or bad? You may have heard recently about Apple admitting that releasing MobileMe, the replacement to .Mac, at the same time as the iPhone 3G was a mistake and perhaps what they should have done was to gradually release it soon afterwards. It promised a lot especially updating a service like .Mac which had been around for a good while. But there were problems, especially when 1% of MobileMe users had no access to their e-mails and some even lost some along the way. Apple’s CEO Steve Jobs insisted that the public should know what is going on with the service while the problems were ironed out. Eventually, they did iron the problems out soon after…but why did Apple rush to get it out? I certainly think that the service should have been given a trial run so that some customers could try and give it a go so that Apple could see how good their service was. But the question is, should you go and apply for MobileMe? It certainly looks good and being able to synchronise data between computers and iPhone are certainly a plus! E-mail problems have been sorted out and going for a trial (for 90 days) is certainly your best bet. What do you think? Is MobileMe good? Let me know! Welcome to the blog from IT professional and random thinker, David Lew. Find here all my personal thoughts and experiences online and add your own comments for a lively discussion. Please enjoy! My blog goes to the next level!